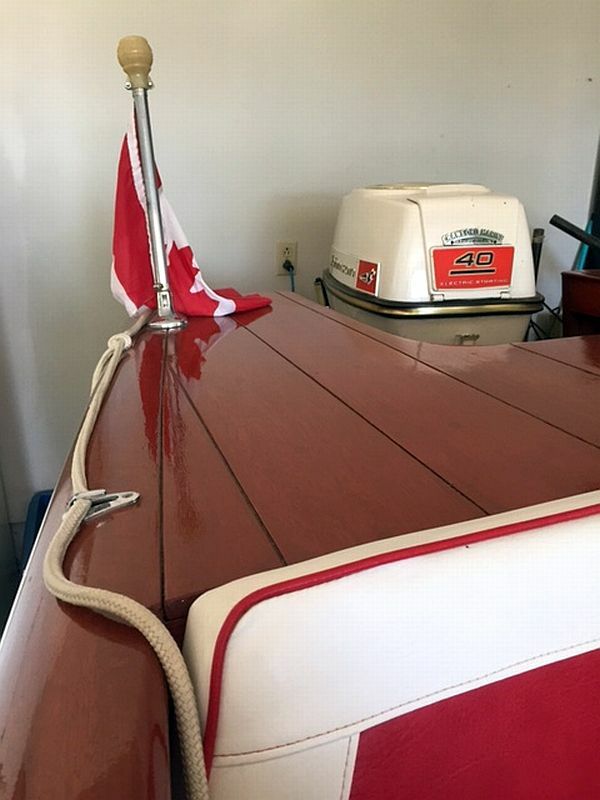 July 6, 2016: our newest listing – an exceptional Peterborough Royal; 16 ft, 1958. 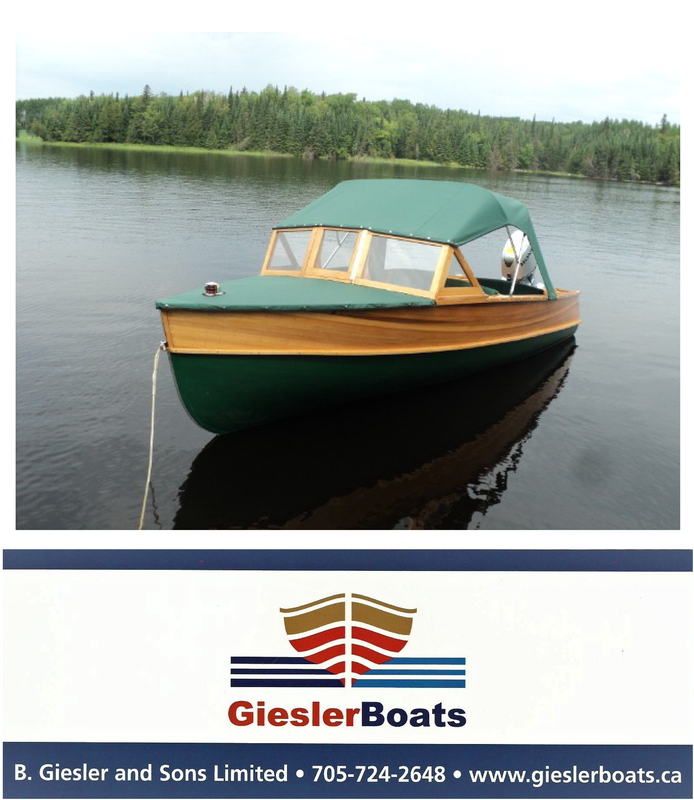 This exceptional cedar-strip runabout features mahogany gunnels, bow and stern, and is completely completely refinished. It has a convertible top that slides forward to let in the sun or snaps in place to provide cover. 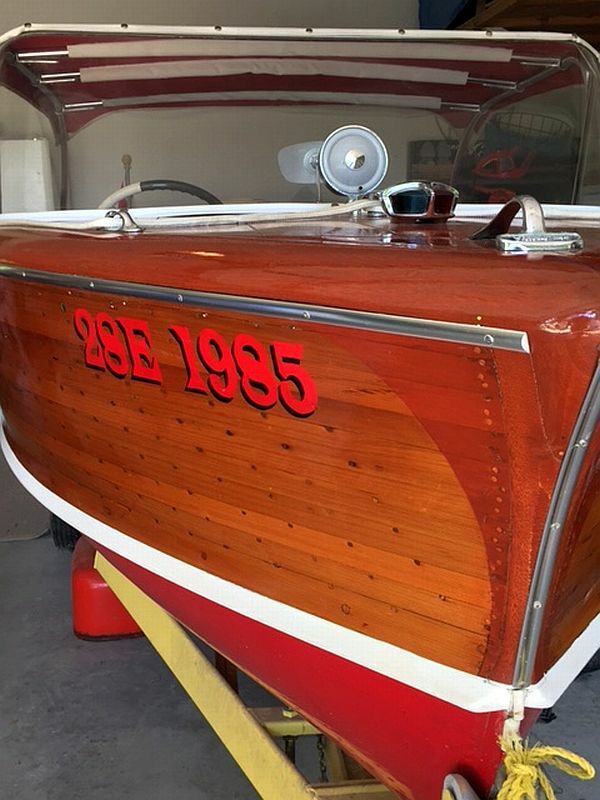 All original chrome and floor boards. Original Johnson steering cables and controls. 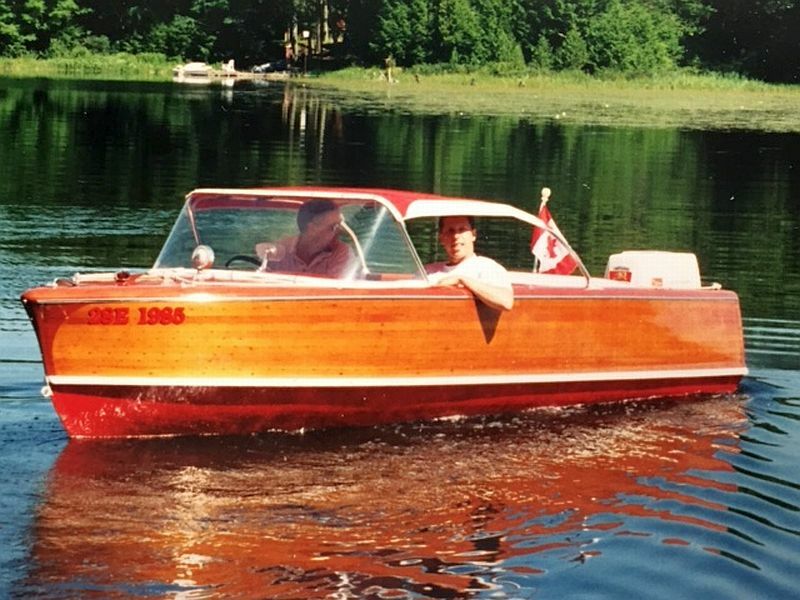 Electric start and powered by a 1961 Johnson 40 hp outboard motor. 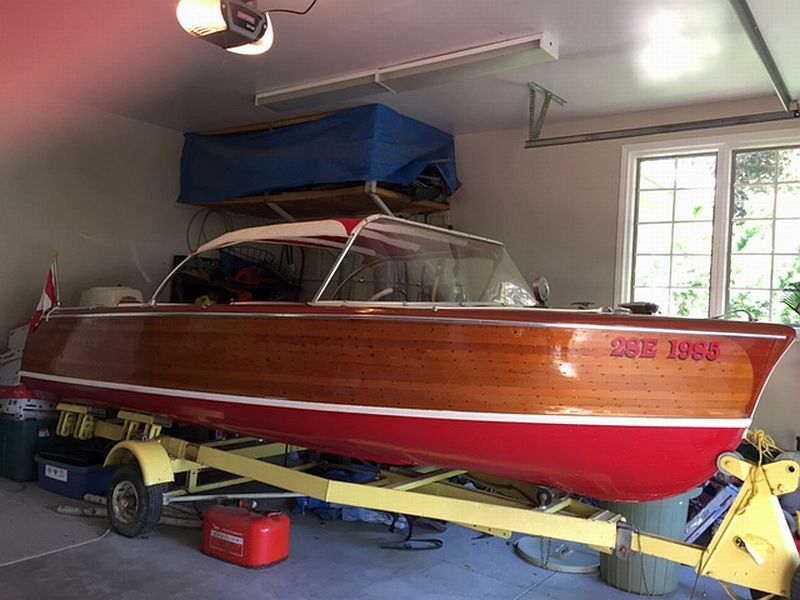 The trailer is in very good condition, and has always been used to haul the boat. The motor ran beautifully the last time that I had it in the water. I did fog it after use each year before the winter, and it has always been stored in the garage (which never goes below freezing). Saying that, the marine battery may need replacing & one of the gas lines from the tank to the motor needs replacing. The photo on the water is at Six Mile Lake and was taken a few years ago. (Garage photos were taken July, 2016). The owner would be happy to provide more details. Price: $10,250 More photos below.